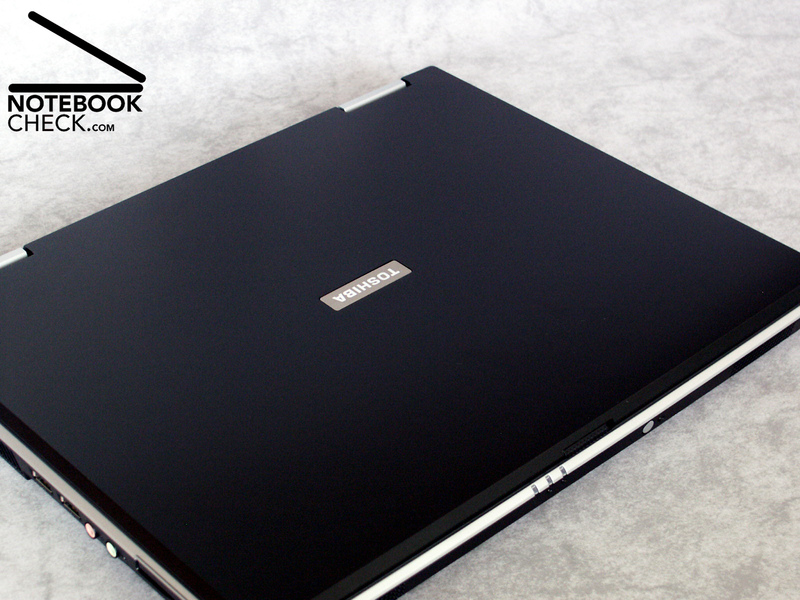 The notebook for beginers Toshiba Satellite L20 is particularly designated for office and interNet applications and rather settled in the lower price segment. 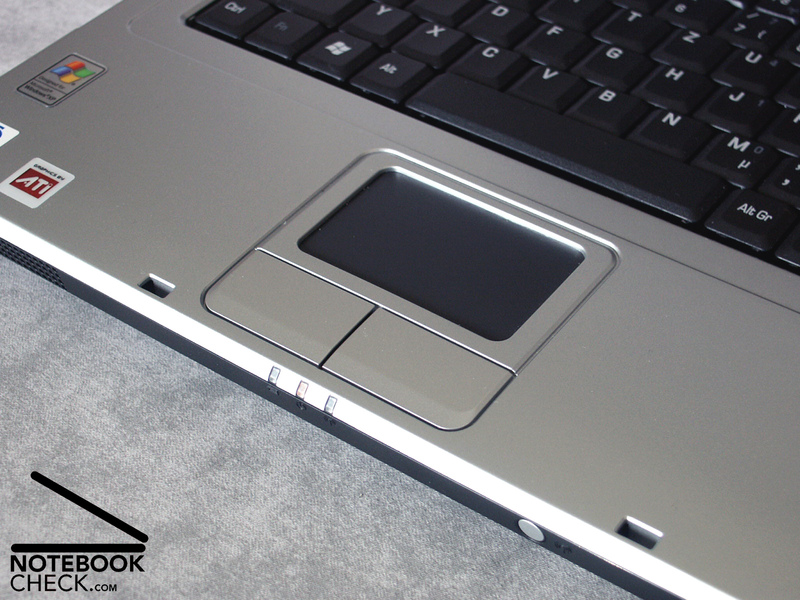 The mirror-free display and the write-friendly keyboard make the L20 especially interesting as a desk device. 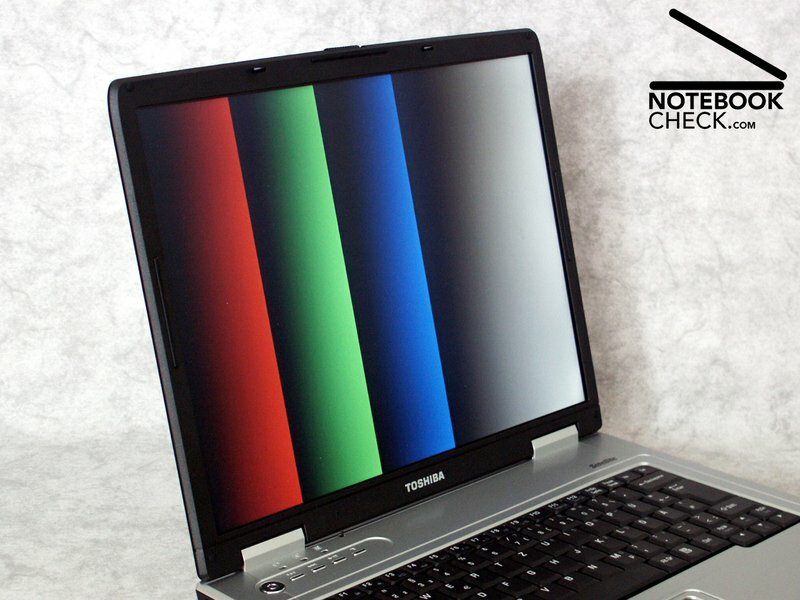 Read on Notebookcheck.com, what you really may expect from the L20. 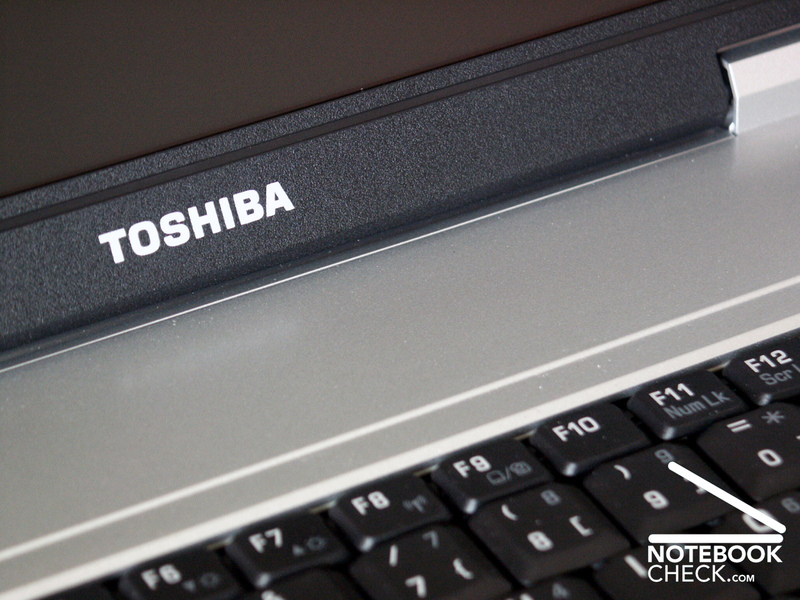 The Toshiba Satellite L20 seems to be very simple, without any accents. Nearly the entire case is anthracite coal. Only the top side, keyboard verge and working surface are manufactured in silver colored plastic. 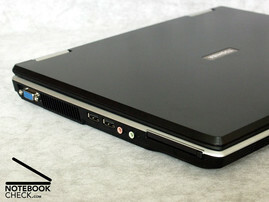 Above at the left side are the on/off button and some media auxiliary keys. 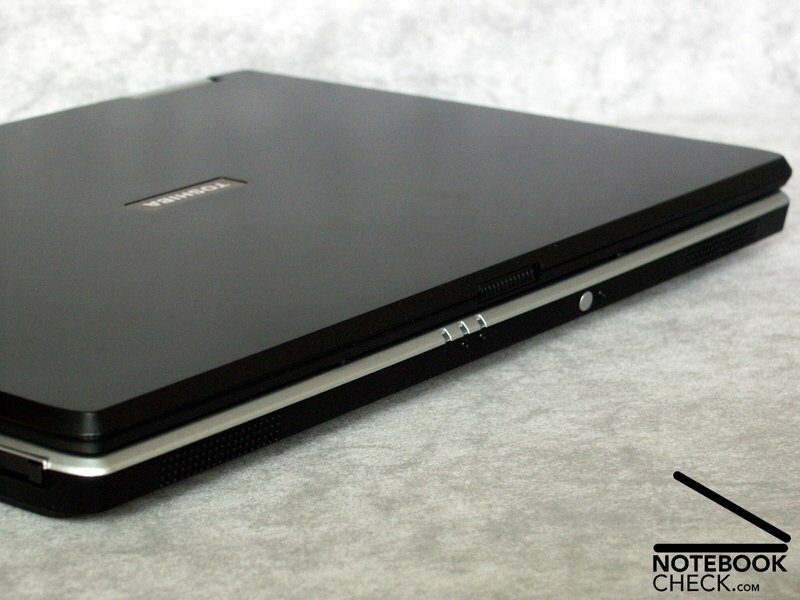 The workmanship is consequently good, we could not determine any crunching or a possible deformation under pressure. The entire case as like the display too are very stiff according torsions. 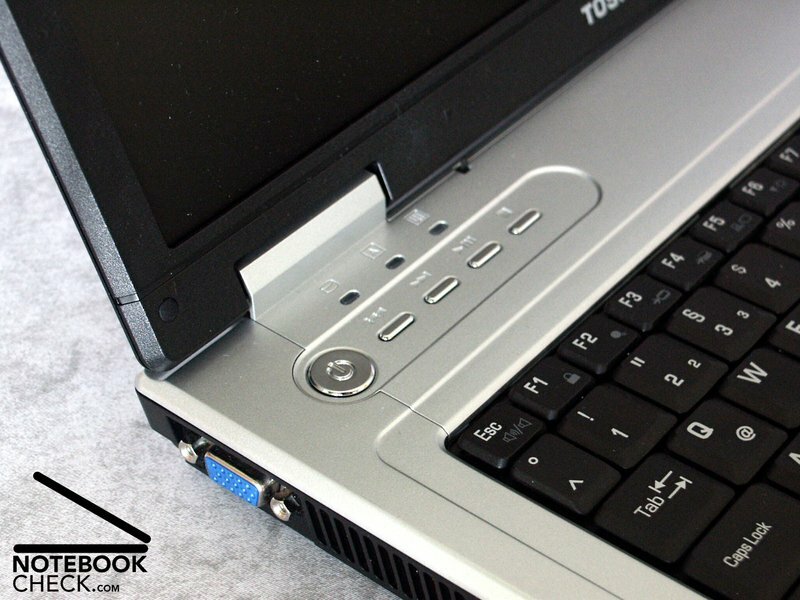 Unfortunately a hardware audio volume control was missing, as otherwise it is usual with almost all Toshiba laptops. 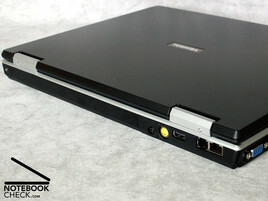 According interfaces the Satellite L20 offers only the most necessary: USB, VGA and S-video as well as a modem and network connection. However they are all positioned intelligently at the left side and at the left back of the chassis. 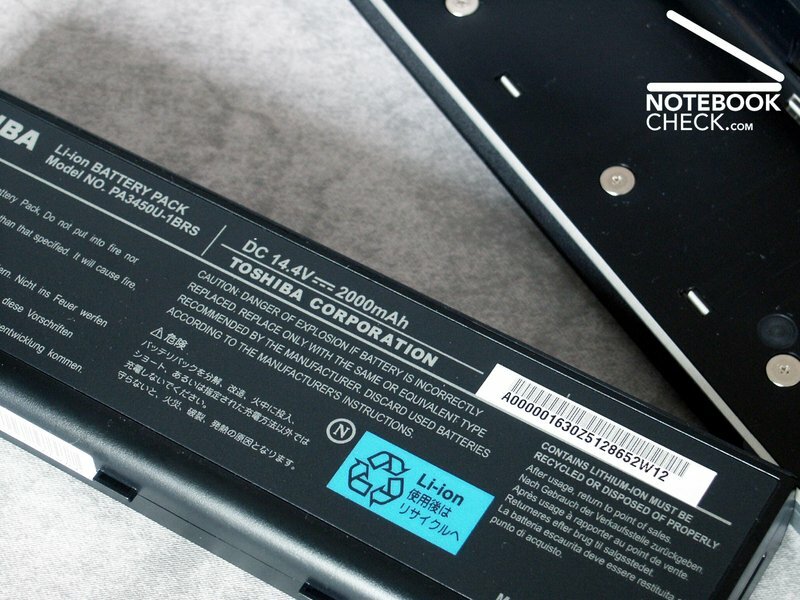 The moreover we noticed, that the battery carries a foot. 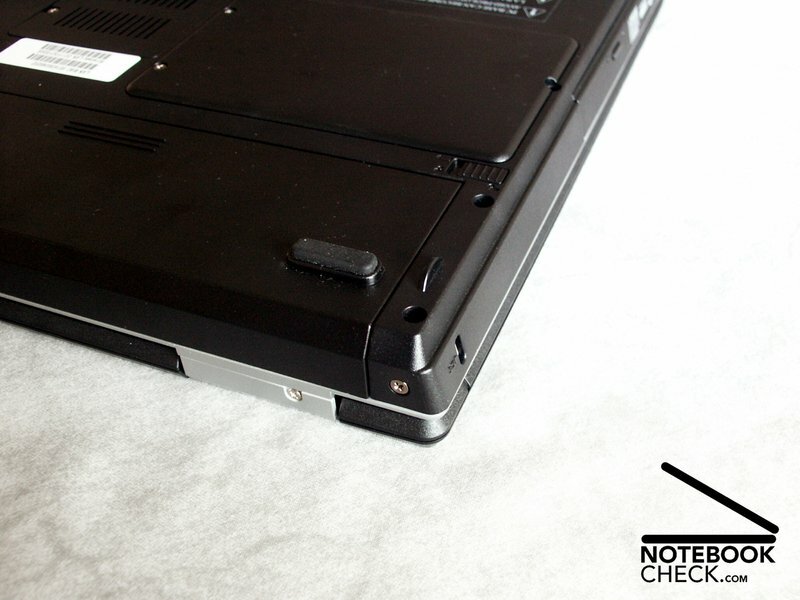 In order to ensure a working without battery, beside this foot a supplementary foot has been attached, whose purpose is to hold the notebook without battery in the equilibrium. 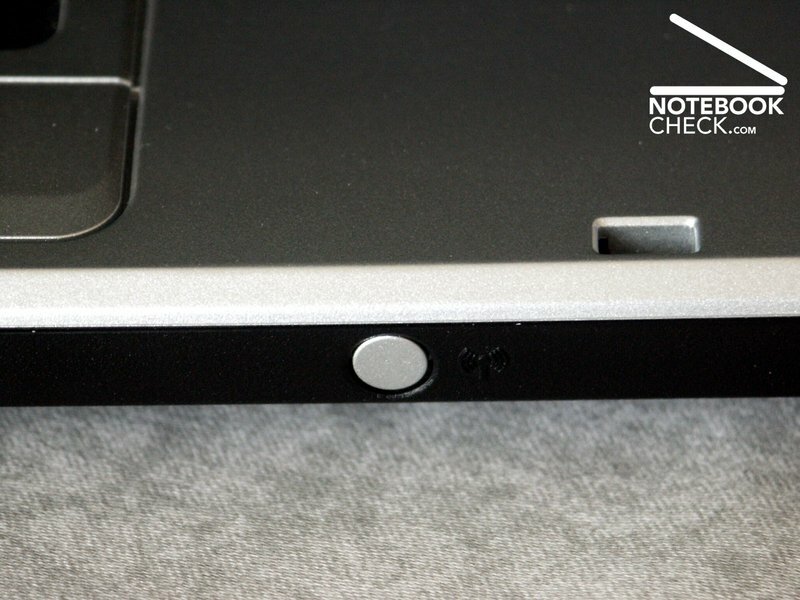 The keyboard of the L20 is particularly positive. The keys are to be pressed very pleasantly and respond rapidly. Also the sound of the keys is very harmonious when fast tapping . 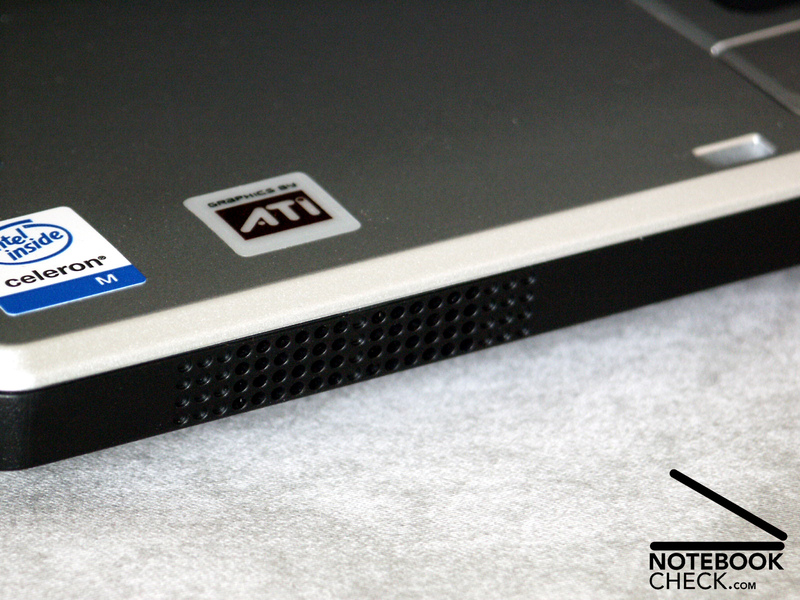 The keyboard sits absolutely firmly in the case and does not bend with strong pressure. The L20 possesses a good, although somewhat small touchpad. The surface feels and seems good. We had something problems with the WLAN on/off key at the front of the mobile computer. This responded quick, but frequently it had to be pressed several times, in order to switch the WLAN function on or off . 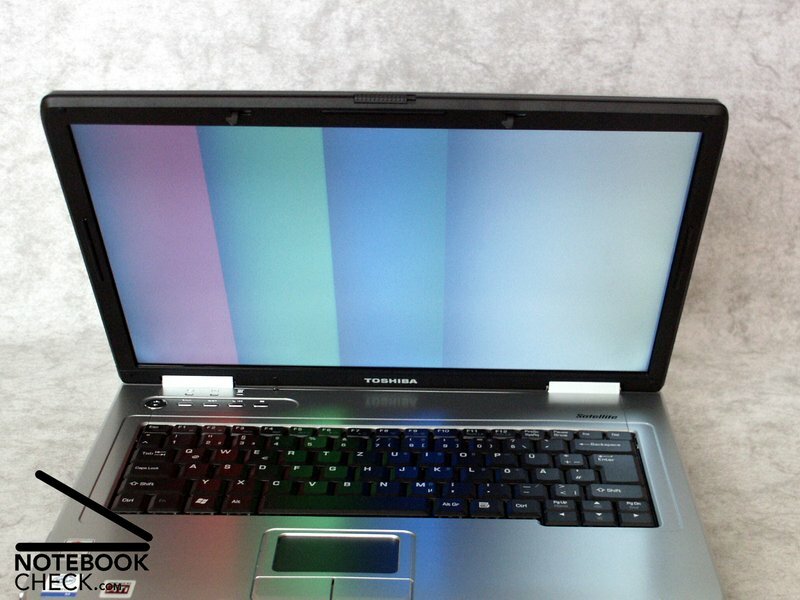 The display does not seem well. It is fortunately not reflecting, but the luminosity weakness can be recognized with free eye. Also the resolution of 1024x768 pixel are not outstanding. 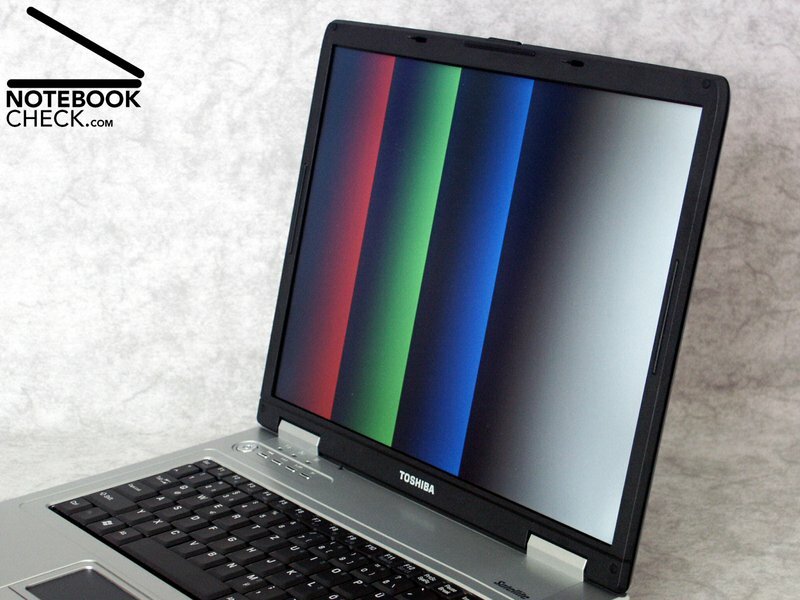 We could measure the maximum brightness in the center of the display with 124,4 cd/m². 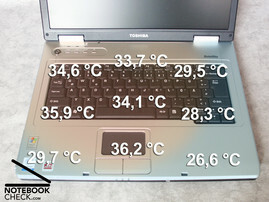 Since the brightness drops in the left upper corner of the display downto 86,8 cd/m², also the illumination amounts to only 69.7 %. The Pixperan readability resulted in an average value of level 5 concerning the susceptibility of smearing. 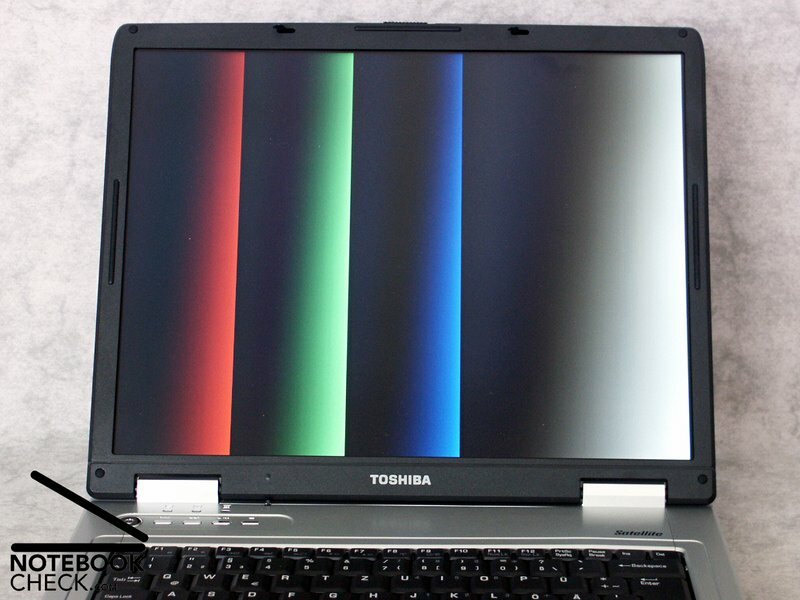 The diagram of the color representation shows the deviating blue curve, which means a warm colour representation of the picture. The stability of the point of view is rather below average particularly in the vertical range. 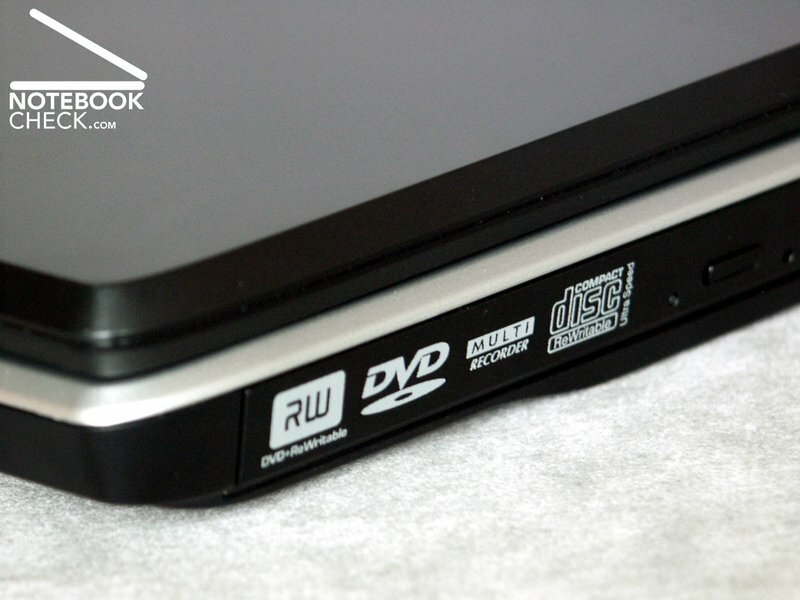 Often the small stable viewing angle is a problem, particularly with the operation at the lap. 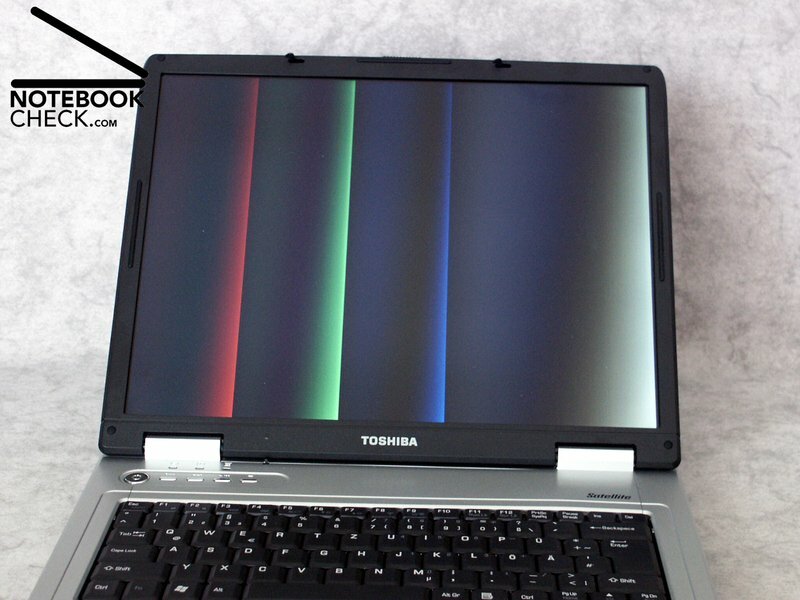 Nothing the despite: due to the faint display surface this is nearly mirror-free. 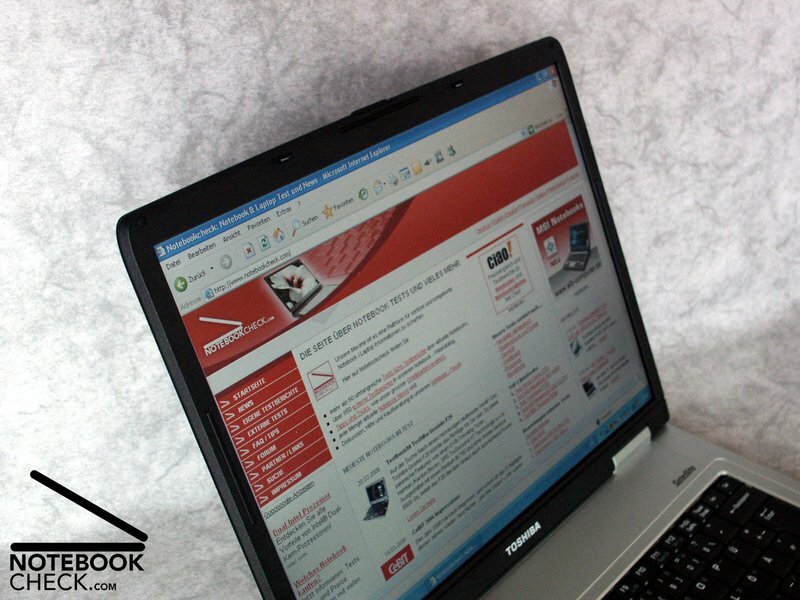 The Intel Celeron M / ATI XPress 200M is not really a power combination, but nevertheless fulfills its purpose in this notebook without problems, which means office and internet applications. 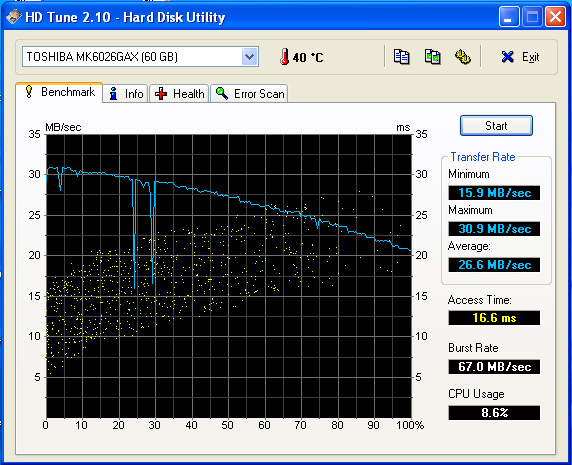 The implemented 60GB hard disk exhibits in principle average values. 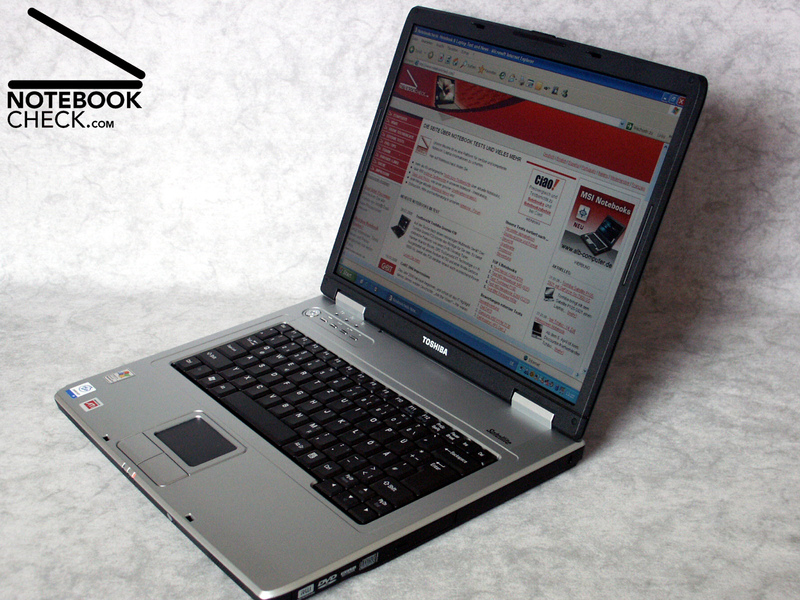 However remarkably is the low access time and, in addition, the comparatively high CPU load. 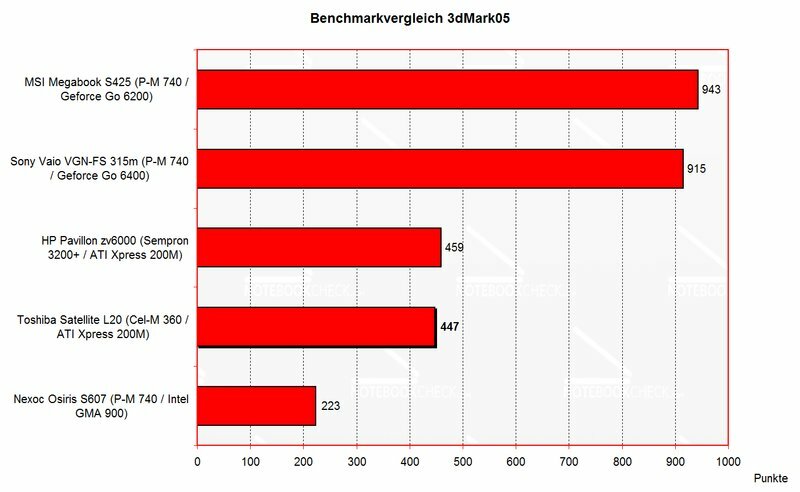 In the 3D Mark benchmark comparison diagram nearby the ATI XPress 200M graphics solution clearly is settled behind adequate video cards, but clearly before the Intel Graphics Media Accelerator 900 (GMA). 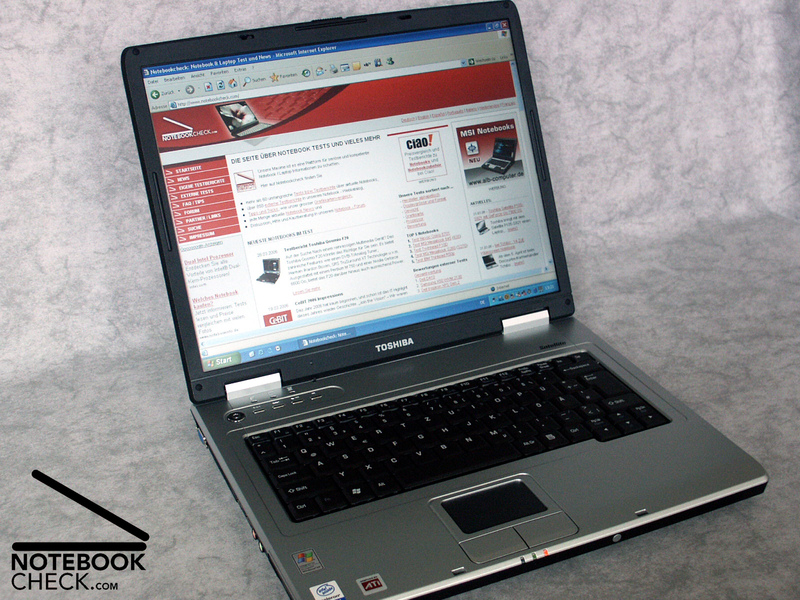 In the PCMark04 comparison the Satellite L20 is at the first rank of comparable devices. 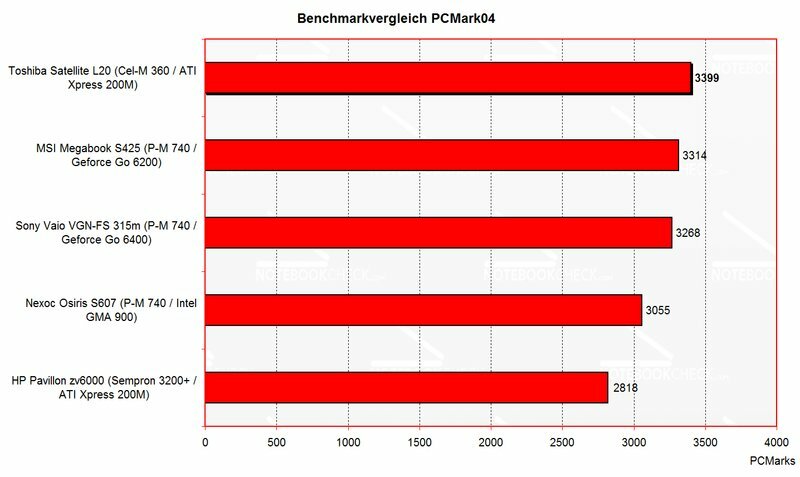 The Timedemo benchmark (Four.DM_68) resulted in 61.7 fps. 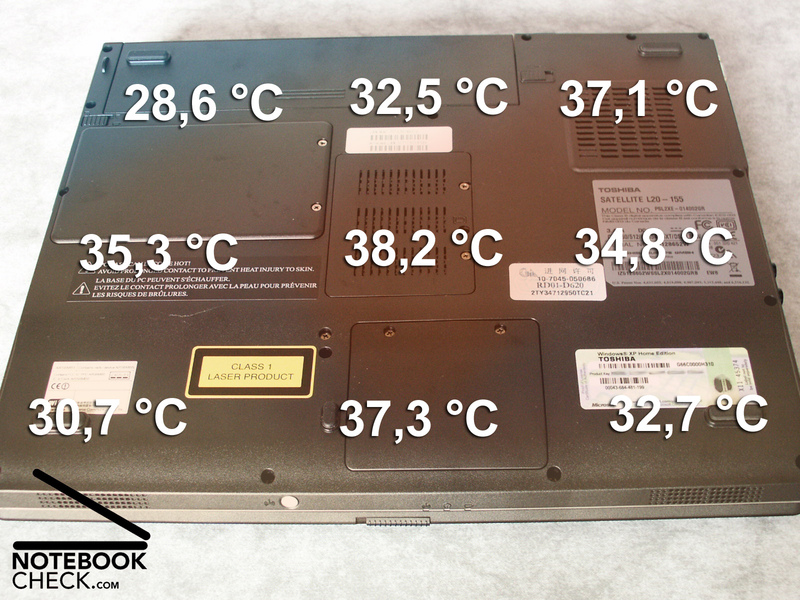 The top side of the L20 remains without warming up worth mentioning even after long time under load. 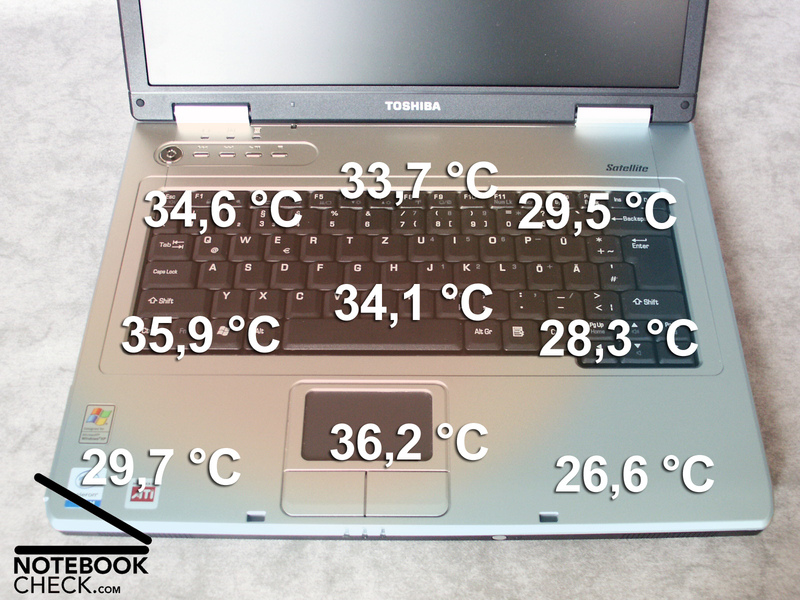 Even the lower surface always remains in a tolerable range with maximally measured 38,2°C . 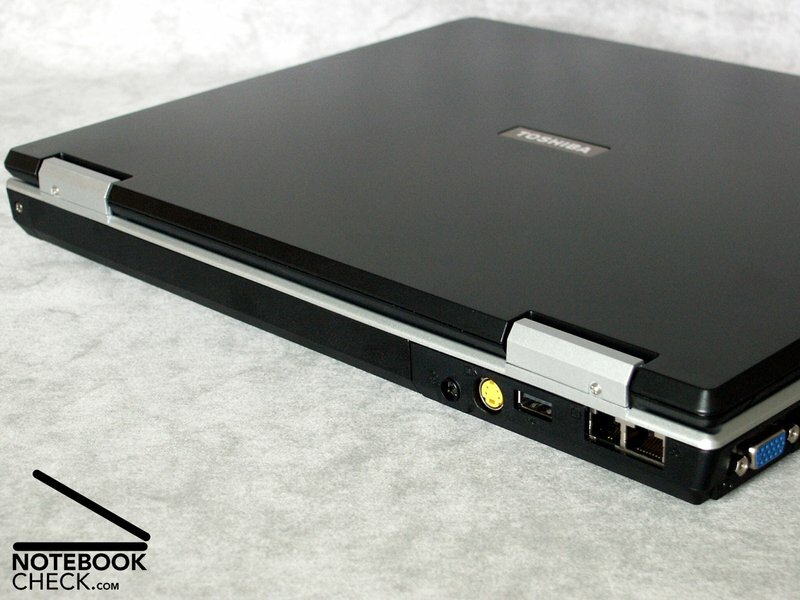 In the normal operation the laptop is relatively quiet. However the fan starts again and again for a short periode and produces noise. Under load we could determine a relatively low value with 33,8 dB. 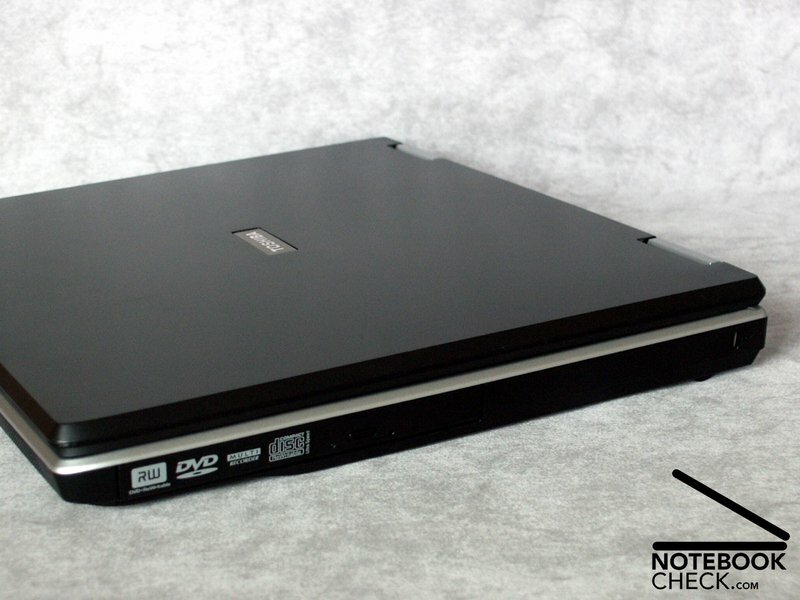 Pleasing: the DVD drive assembly is absolutely not disturbing with 37,3 dB during rendition. Contrary to the other Toshiba notebooks equipped with Harman/Kardon, the L20 could not really convince regarding sound rendition. A missing of any basses and a far to low maximum volume could be determined. Thus the use of headphones is recommended. 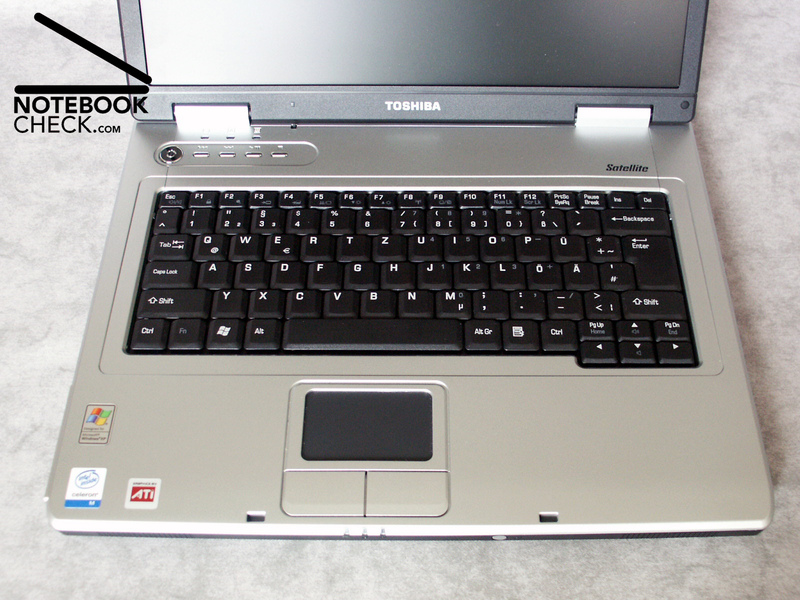 Since our Toshiba Satellite L20 was equipped only with one 2000 mAh seizing battery, we did not have large expectations concerning the runtime. This fear was then confirmed by the tests. 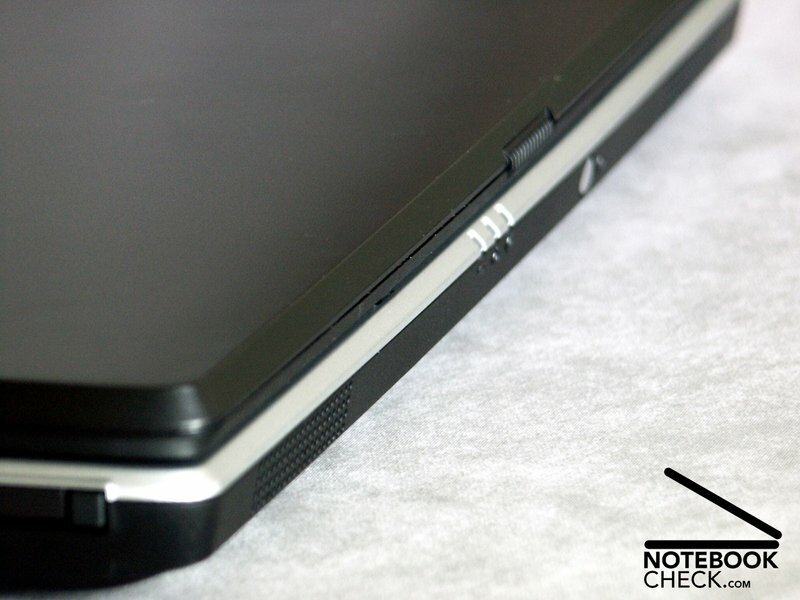 Remedy could bring an upgrade with a battery with higher capacity. 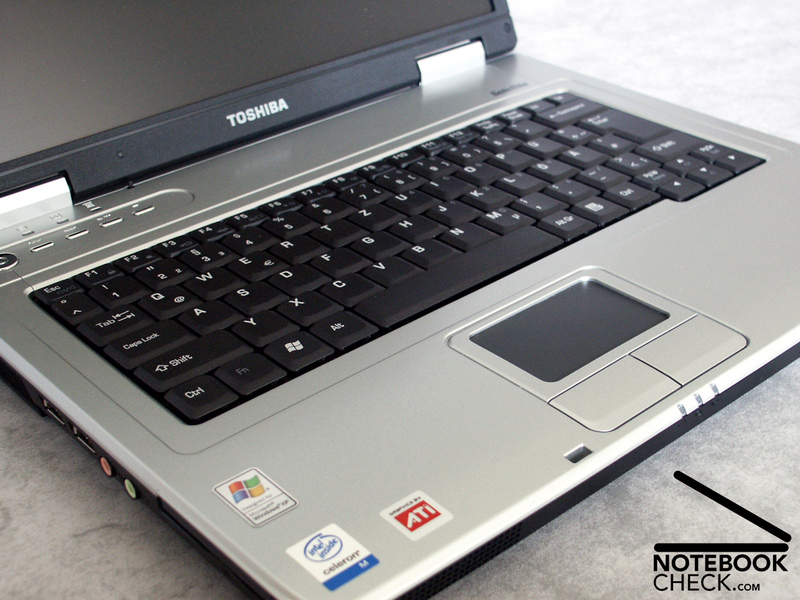 The Toshiba Satellite L20 is a high-quality laptop for beginners, which is especially useful for office applications and the Internet. 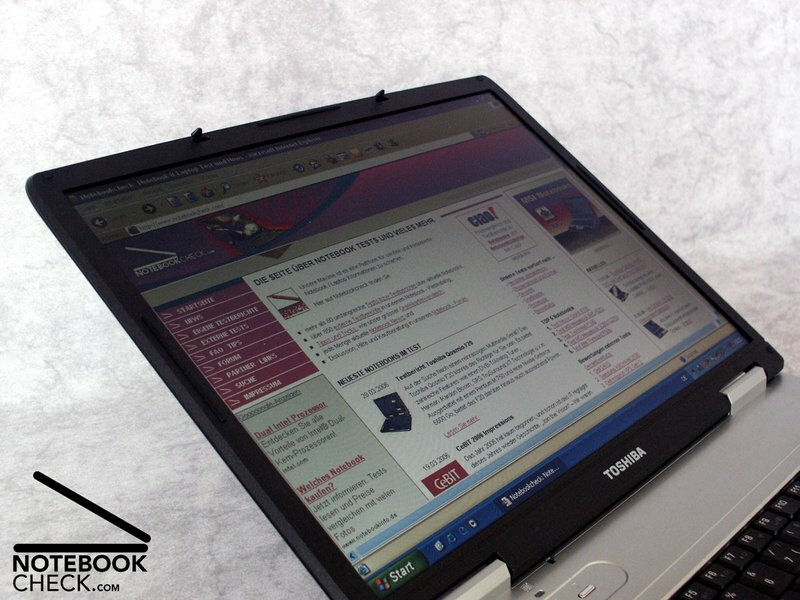 The mirror-free display and the very good keyboard make the L20 a perfect indoor typewriter. Indoor because of two reasons: First of all the display misses the luminosity and therefore is hardly readable with brighter conditions, and secondly the 2000 mAh battery with maximum runtimes of up to 1,5 h can not be called persistent during wireless current supply. Briefly said, the Toshiba Satellite L20 is the correct laptop for those, who look for a favorable mobile computer for inside usage and do not want to miss a good quality of workmanship.